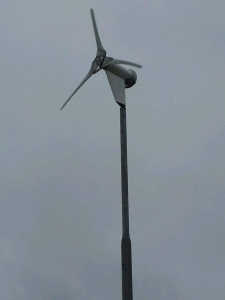 A wind turbine is made up from 4 main parts the base, tower, head unit and blades. With the control system comprising of 2 main parts the rectifier and the inverter along with ac and dc isolators and a dump load resistor. 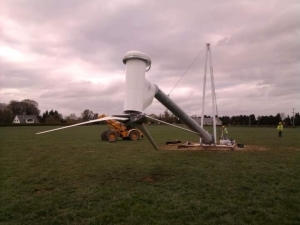 A wind turbine will start generating electricity when wind speeds reach around 3.5 m/s. 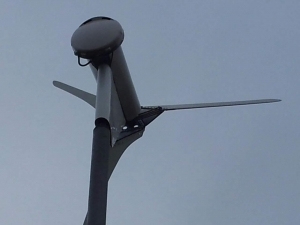 Once the blades start to rotate this causes the rotor in the head unit to also rotate and generate variable Ac electricity. This variable Ac electricity is then transferred to the rectifier which converts it into clean Dc electricity. 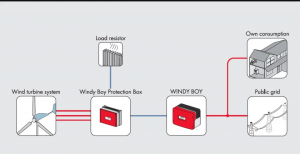 This Dc electricity is then transferred to the inverter which converts it into clean Ac electricity which can then be used in your home or business for all of your electrical requirements. 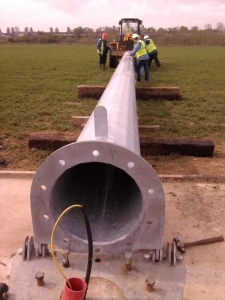 Wind turbines are best suited for larger domestic properties or large businesses and farms. 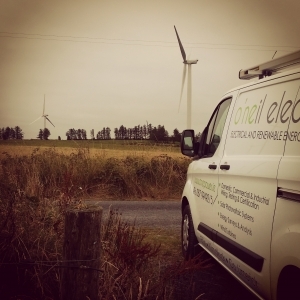 A wind turbine from O’Neil Electrical is a very simple solution for reducing your home or business energy usage for many years to come.